STAR TRACE Drum Separation are primarily designed and manufactured as low field intensity separators. They have an open magnetic system with the magnetic poles located in one plain. Permanent Magnetic Drum Separator mainly by the cylinder, roller, brush roller, magnetic system, tank, transmission parts 6 parts. Cylinder by a 2-3mm stainless steel plate welded into the tube, end caps for the aluminum casting or workpiece, connected with stainless steel screws and barrel. Motor or directly through the reducer Promise speed motor, drive cylinder, magnetic roller and the brush roll for rotational movement. Magnetic system is an open magnetic system, mounted on the cylinder and exposed full magnetic. Magnets with stainless steel bolts installed in the magnetic yoke of the floor, out of cylinder yoke shaft, the shaft has Shui arm fixed. Pulled the magnetic system can be adjusted Shui arm angle adjustment lever can be fixed after appropriate. Tank work area with stainless steel plate, frame and other parts of the tank with ordinary steel welding. 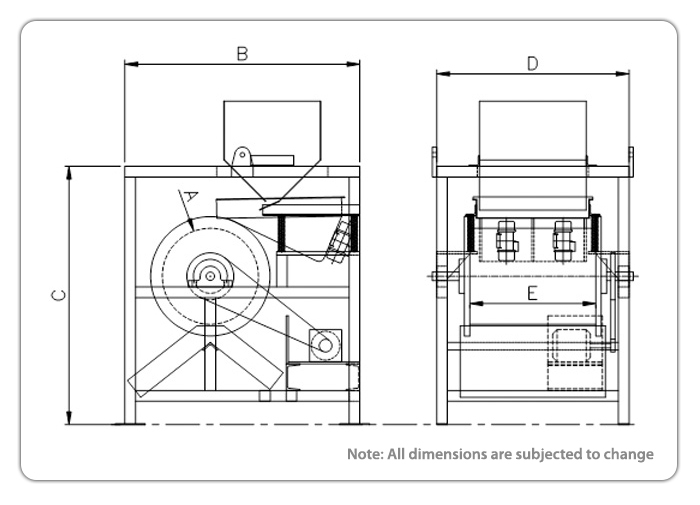 Drum Separation are primarily designed and manufactured as low field intensity separators. They have an open magnetic system with the magnetic poles located in one plain. Low field intensity separators are employed for separating iron particles from bulk material whenever foreign iron disturbs the subsequent process sequences. It is also used for removing or enriching strongly magnetic content of dry minerals. The most widely used application of drum separation is by deflection separation in which the bulk material is fed onto the top of the drum. This must be spread evenly over the entire width in order to ensure optimum utilisation of the drum. 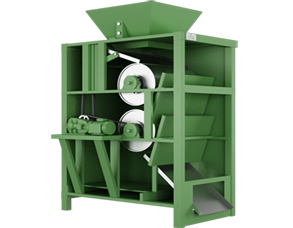 The use of a vibratory feeder is appropriate for feeding the material tangentially onto the drum. This operating procedure ensures minimum wear to the outer drum and guarantees constant-speed application. At normal feed speed of 0.2-0.3 m/sec. using vibratory feeders, the material is spread and distributed quickly over the drum, which rotates at a speed of 0.6-0.8 m/sec. The material is reduced to 1/3 - 1/4 of the feed layer height.